This has already has had its time on Digg and has appeared on at least three podcasts I listen to, but I still get a kick out of it and most people here in Singapore haven't seen it (I'm sure Felix has!) so I have to mention it here for fun: The Hide-a-pod! You love your iPod. It’s a great product. You take it everywhere and you use it every day. But owning a device so desirable and fashionable as an iPod comes with one major drawback . . . the iPod has become a target for theft. So how can you take your iPod out of your home without fear? The way the case protects your iPod or iPhone is by disguising it as a brown Microsoft Zune, something nobody would want :). 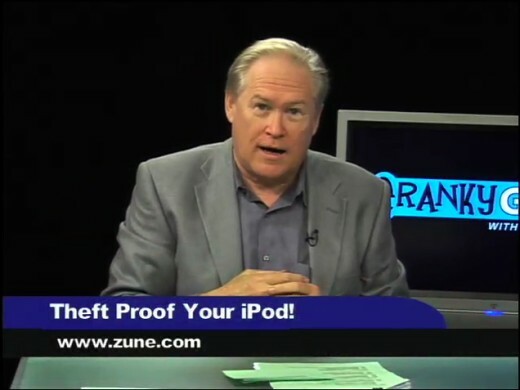 The best coverage I heard of it was of course on Cranky Geeks 073 where they discussed one possible flaw: nobody actually carries a Zune, so the incidence of theft may increase as criminals think of Zunes as merely cases that contain something more valuable! One of my favourite episodes, even though it didn't have Sebastian Rupley or spiffy segues ;). In a way I feel sorry for Microsoft, they obviously at least tried to come up with their own "tragically hip" media player experience but it fell on it's portable electronic arse. I wonder if this will be lumped together in the same Microsoft product graveyard years from now along with Windows Me, Microsoft Bob and Clippy? Anyway you can purchase a DRM-free Hide-a-pod at their totally legit ordering page.